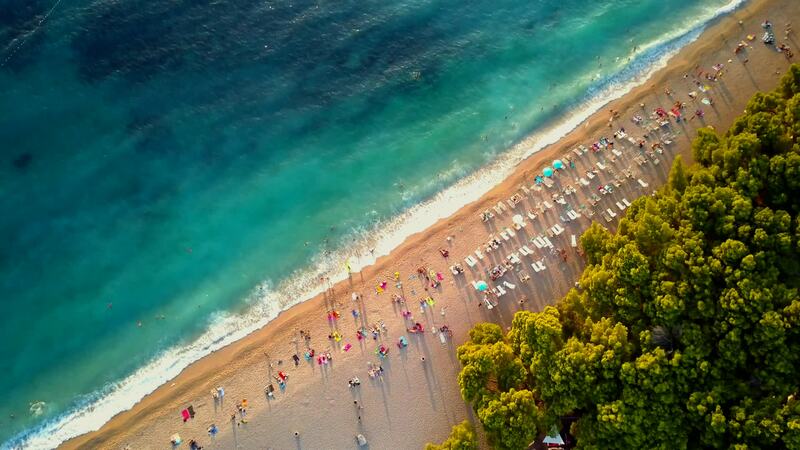 Part of the Dalmatian region of Croatia, the Zlatni Rat is one of the top beaches in all of Europe. Its “V” shape along with its white pebble beach and Mediterraneans pine grove makes it an easy choice for travel brochure covers. Pilot droningdutchman covers the famous beach with top-down shots of the umbrellas and blankets that bring pops of color to the white sand. He also takes a variety of pans and reveals, each one showing yet another beautiful angle of the famous beach.